Adrian Teo spent 9 years in government service; 5 years in an international NGO travelling to 57 countries worldwide; and the last 33 years running his own training consultancy. He was a member of the task force that introduced adventure learning facilitation into STADA and was its associate facilitator for over a decade. He subsequently took on the role of the master facilitator for the Professional Certificate in Designing and Facilitating Experiential Learning. Adrian holds a Bachelor of Arts (History, 1971) degree from the University of Malaya and a Masters of Science in Management, 1977, from the Durham University Business School, UK, as well as IPPR – Institute of Public Relations, 1974, and CAM – Communication Advertising & Marketing Education Foundation – certificates and diplomas, 1975, in Public Relations. He is a Certified Management Consultant (FCMC) of the Institute of Management Consultants (IMC) and a master trainer for STADA’s Professional Diploma in Training & Development`(PDTD). A certified Adventure Learning facilitator, Adrian is the master trainer for the Professional Certificate in Experiential Learning (PCRL). In the area of coaching, Adrian is a certified trainer for ATD Association for Talent Development’s (formerly American Society for Training Development – ASTD) Coaching Certificate Program. 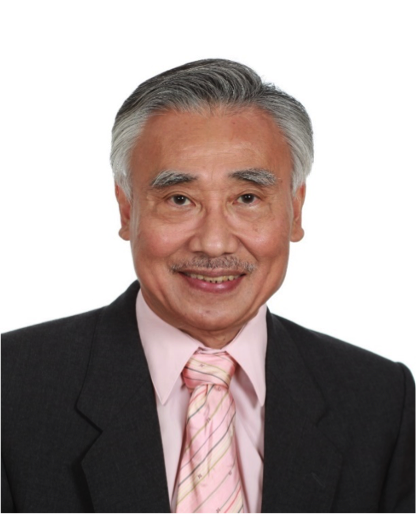 A believer in volunteerism, Adrian was active in 5 service organizations and is currently a board member of the Singapore Association for Continuing Education (SACE) where he conducts C3A/NSA community courses in mindfulness and aging realities. He recently took on the role of an adjunct associate for SUSS covering the subject of high commitment, high performance and high resilience organizations.